This set will be handy for your family meal planning! 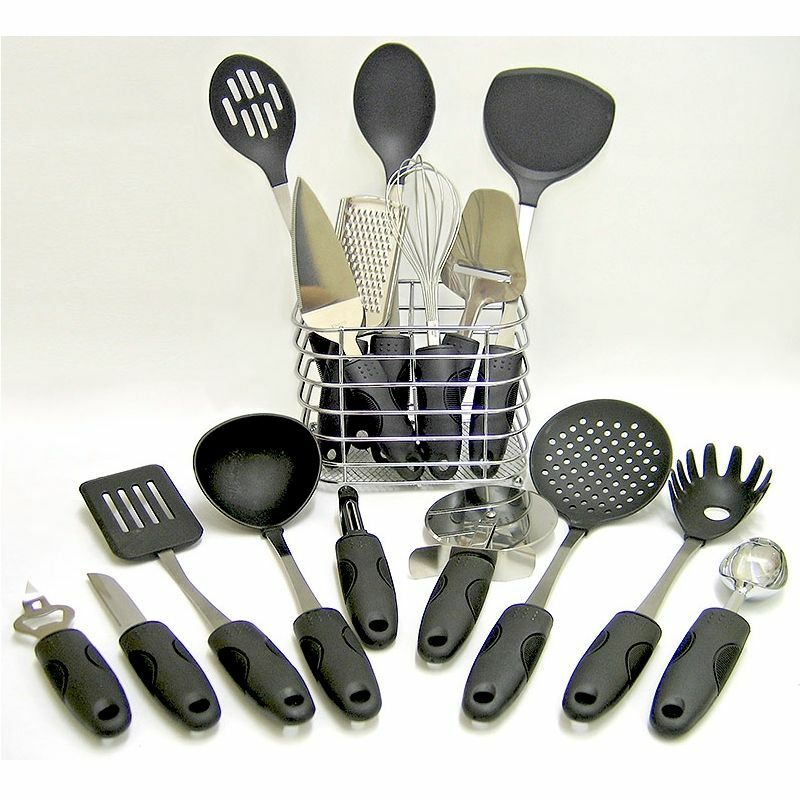 The wide variety of tools in this Kitchen Pride Stainless Steel 17-Piece Kitchen Tool Cookware Set will satisfy many of your food preparation tasks. T304 high quality stainless Produces a strong, dependable product. Soft grip handles Remain cool when used in hot foods. Decorative stand Consolidates tools within reach of food preparation center. Multiple tools Handle a variety of mixing and cooking jobs.